Start your summer off with these brightly luscious golden roses! These colors are so intense, they'll brighten any mood! 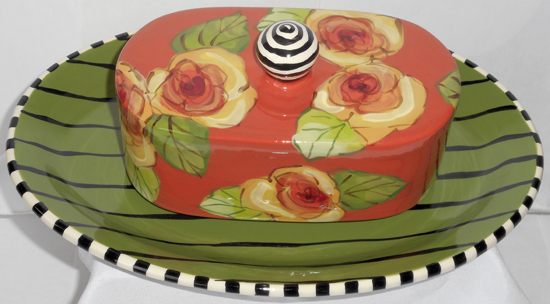 View a selection of patterns in this 10 1/2" long by 6 1/4" wide by 4" tall butter set.